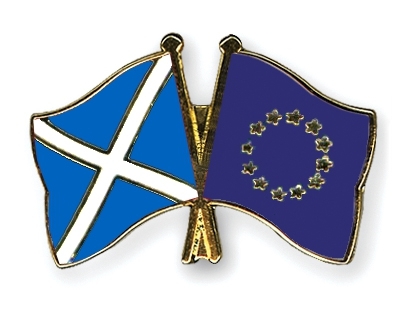 The Scottish Government today (24 May 2016) published its case for the benefits of EU membership, ahead of the EU referendum on 23 June. The report points out that Scottish beneficiaries receive significant amounts of EU funding to develop projects in the fields of research, education, health and regional development. For the period of 2014-20, Scotland will receive € €941 million in European Structural and Investment Funds for projects aims at reducing poverty and social exclusion, boosting educational attainment and skills development, and supporting projects with a positive impact on climate change and renewable energy. In addition, Scotland will receive €4.6 billion to implement the Common Agricultural Policy (CAP) until 2020, which includes €3.7 billion is in direct payments to farmers, and just over €840 million for the Scotland Rural Development Programme (SRDP). The SRDP, which includes LEADER, funds a wide variety of projects to help create vibrant rural communities, develop food, drink and wider rural businesses, and support the forestry and farming sectors. Regarding the economy, it estimates that over 300,000 Scottish jobs are directly and indirectly associated with exports to the EU in 2011. Moreover, the EU is the top destination for Scottish exports, receiving 42% of Scotland’s international exports in 2014, worth more than £11 billion.